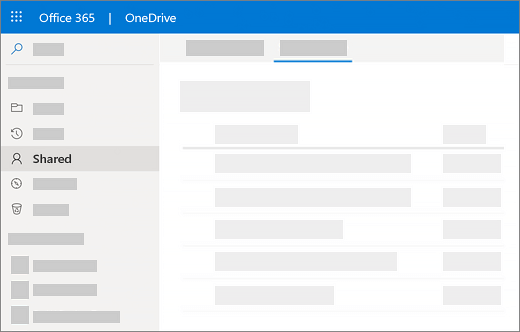 The Shared view in OneDrive shows all your files and folders that aren't private. After you share a file, it automatically appears under Shared in the navigation. What you see differs depending whether you're signed in with a personal account or a work or school account. When you're signed in with a work or school account, at the top of the page, select the Shared by me tab. Note: If you see different options, you're either signed in with your personal account or you're looking at classic OneDrive for Business. For more information, see Why am I seeing different options? Before you open the file, you can see the number of views and viewers by pointing to the file name to show the file card. As the owner of this file, you also see the list of people who viewed the file, if your administrator has allowed you to see the viewers. 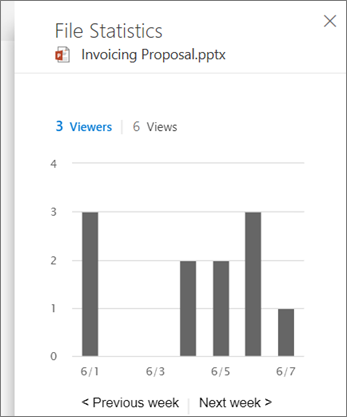 Tip: You can also select the Views link on the file card to see a chart with a daily summary of the number of viewers and people who viewed the file. 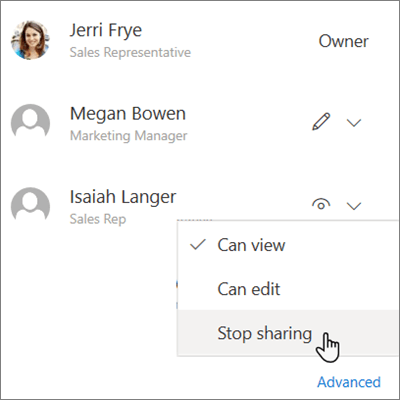 To stop sharing with everyone, near the top of the Manage Access pane, select Stop sharing. To stop sharing with one person, select the Can Edit or Can View drop-down list, and then select Stop sharing. To change the person's permissions, select Can View > Allow edit, or Can Edit > Change to view only. Why am I seeing different options? When you sign in with a personal account, the Shared view combines Shared by me with files that other people have shared with you. See files shared with you in OneDrive (Personal) for more detail about that. 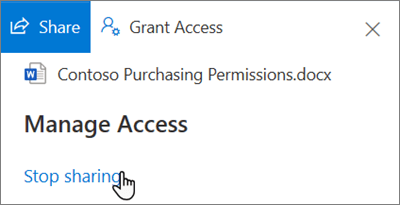 If you see Shared by me in the left navigation, you're signed in with a work or school account (OneDrive for Business) and looking at classic OneDrive for Business. 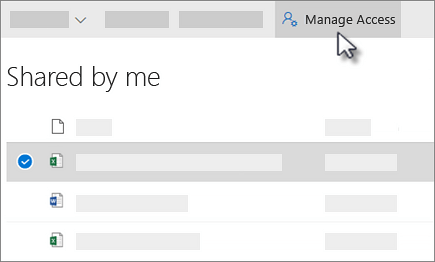 Try closing your browser and going back to OneDrive for Business. 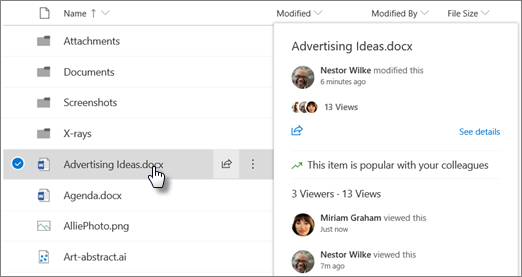 If you try that and you still see Shared by me in the left navigation, your administrator has set up classic OneDrive for Business as your default view. Talk to your administrator about changing that.